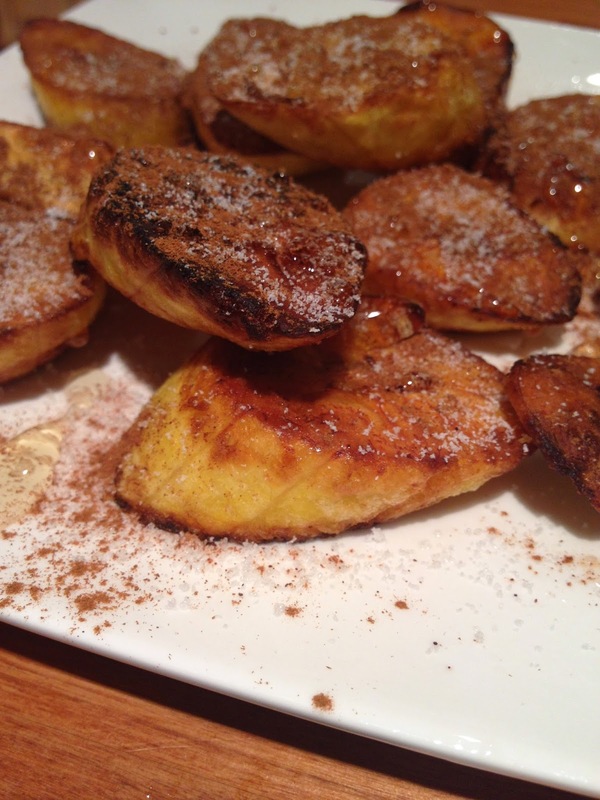 Pan-fried plantain bananas topped with cinnamon, stevia and drizzled with honey. A healthy dessert inspired by the famous Greek dish, "Loukoumades." 1. Peel and evenly slice the plantain bananas.2. Cook them in a pan on medium heat with coconut oil (or anything similar).3. 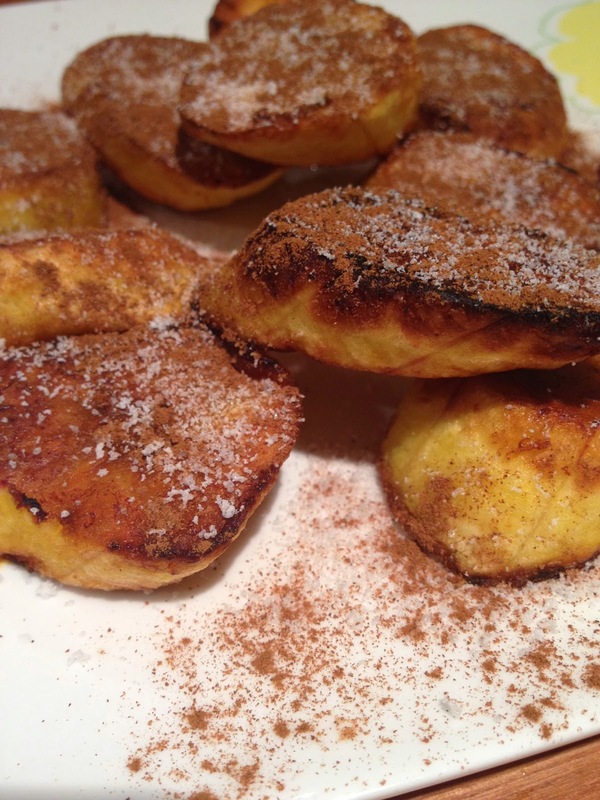 Once cooked, put the plantains on a plate, add stevia and cinnamon and then drizzle with honey. 4. Serve immediately and enjoy. Simple recipe my family and I enjoyed for dessert. We used to love eating Loukoumades and simply wanted to created something with a similar taste but much healthier. 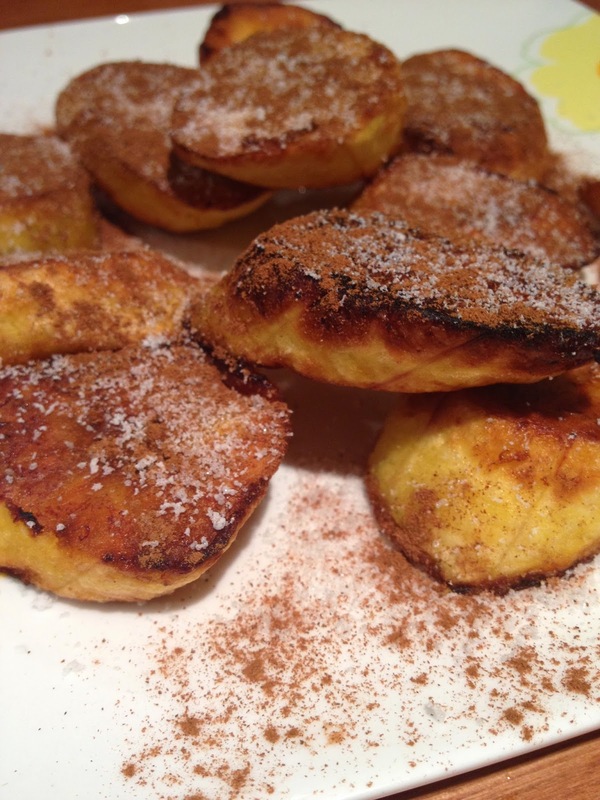 These plantains can also be baked for a cleaner alternative and you can even skip the stevia. They turned out great and we'll definitely be making them again. Let me know what you think in the comments or on Facebook!